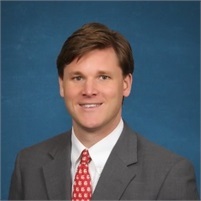 Will joined the Davis Financial Group in early 2018 as a financial planner and investment advisor. After graduating from St. Lawrence University in Canton, NY in 2008, he got his start in the financial industry at a private municipal bond firm in Parsippany, New Jersey, before moving to Burlington, Vermont, where he spent 5 years. During his time in Burlington, Will gained experience at both Merrill Lynch and New York Life, where he learned the finer points of both investment management and insurance. Will moved to Northampton in March of 2016 and spent two years working at Gage Wiley as a Financial Advisor. Will's focus is on working with individuals and families, helping them to understand and evaluate their current situation, identify concerns and goals, and build and implement comprehensive financial plans to help clients achieve their objectives. In his free time, Will enjoys many different outdoor activities, depending on the season. In the summer, he takes advantage of western Massachusetts’s many hills and valleys on his road bike and plays golf when he can find the time. His winters are spent at the hockey rink where he has played in an adult league since moving to town and is now currently coaching youth hockey teams in the area.